Fire Prevention Week is the first full week of October. It’s a great time to review fire safety concepts with our young children and to help them learn about firefighters. I’ve been collecting the following books to read with my Kindergarten, first, and second grade classes. This post contains affiliate links. If you click through one of them and make a purchase I may receive a small commission at no cost to you. This title is part of the Rookie Read-About Community series from Scholastic. It has great photographs and shows the daily duties of firefighters as well as what it’s like to fight a fire. I like that it also depicts Stop! Drop! and Roll! and encourages kids to practice that as well as to get low in smoke. 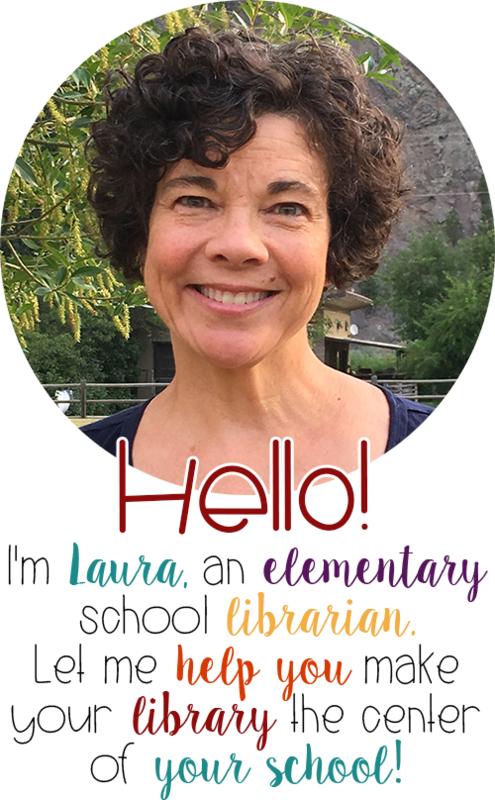 Text features like diagrams with labels, a picture glossary, suggestions for being a community helper, an index, and a link to online resources pack a lot into a small book! 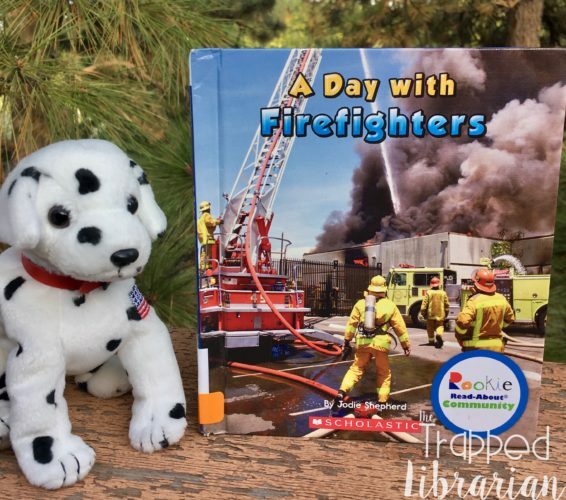 This book was published by the National Fire Protection Association (NFPA), so it contains many of the concepts they have determined are important for teaching young children about fire safety, along with a little bit of back story on the fire dog. 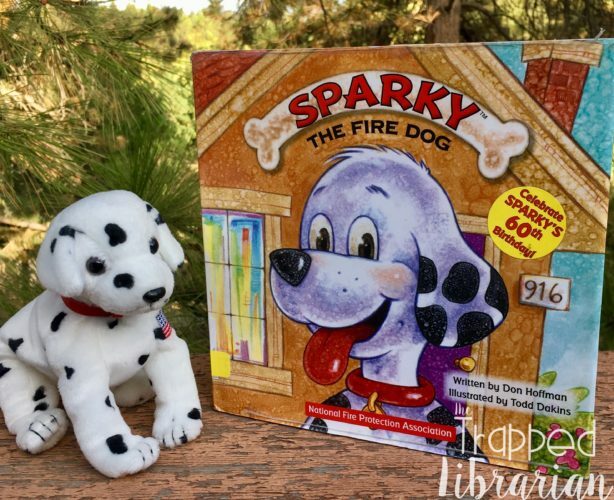 Some of the characters are animals (except for the firefighters), and the story is told from the point of view of Sparky, the NFPA’s “spokesdog.” Sparky’s Safety Tips at the end are worth emphasizing with your students. 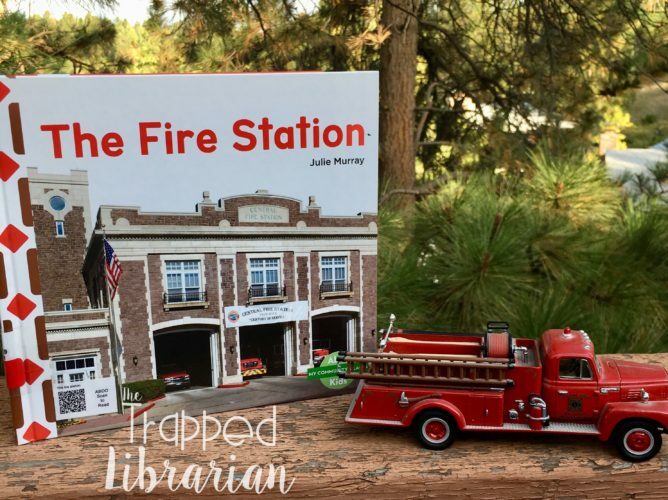 I purchased this print book and the accompanying Abdo eBook to use with my 2nd grade classses since they take a field trip to our city fire station every year. Abdo eBooks allow multi-user access, so you can use this title with a whole class if you have enough devices! Large photographs and simple text make this a great book to get through during a short class period. You can ask your students if they can find the real life Sparky in one of the illustrations! The back matter contains a picture glossary, index, and a link to related online resources. Abdo’s online resources page is VERY kid friendly and contains photos, a short paragraph, print resources, a video and links to outside resources! 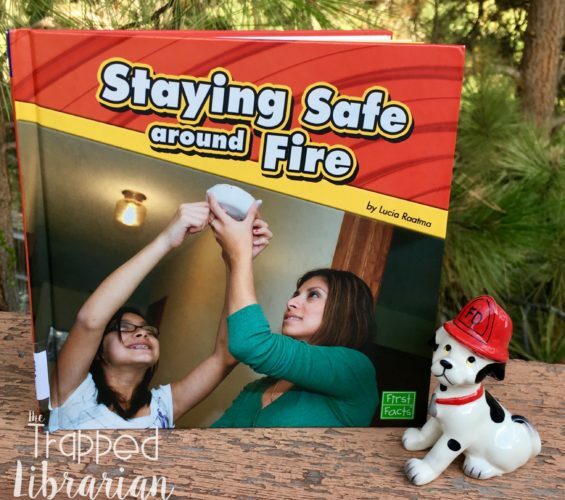 I like this book because it shows a variety of kids and families in their homes to illustrated fire safety guidelines. This book is great to read in parts and to stop and have discussions around guidelines such as keeping flammable objects away from the stove, testing your smoke alarm, and crawling low in smoke. Text boxes, headings, a glossary, and related print and online resources round out this informative book. The Hands On: Plan an Escape Route activity would be great for home or classroom. 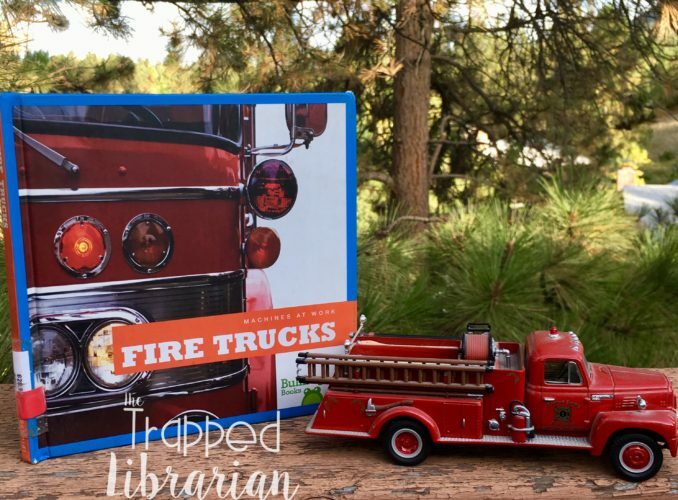 These early reader informational texts from Bullfrog Books have large, vivid photographs and limited text on each page (usually just one sentence). 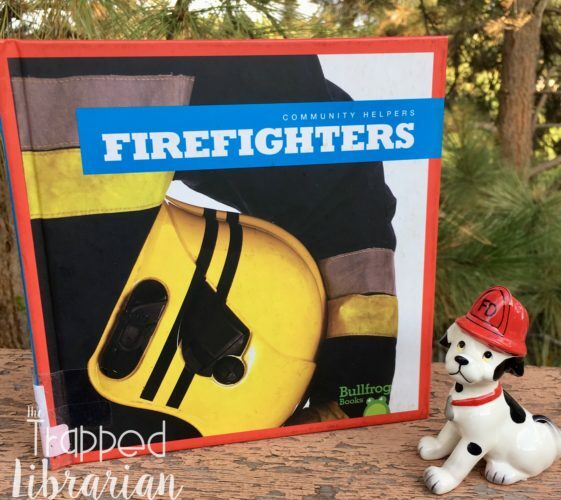 The Firefighter book shows them in their full turnout gear, which is important for kids to see in case they are ever in a situation when they need the help of these brave men and women. The books have a table of contents, diagram, picture glossary, index, and links to related resources. Your youngest students are going to want to check these out after you read them! For more information related to Fire Prevention Week, read this guest post from my hubby, a former Fire Marshal! 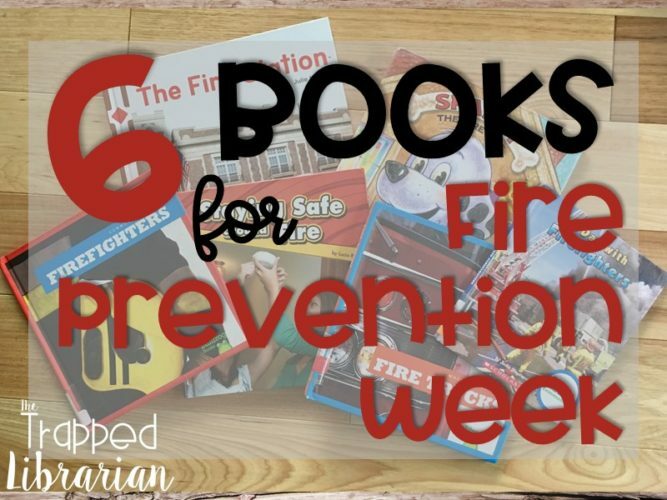 Do you have any favorite books that you use during Fire Prevention Week? Please share them with us below! 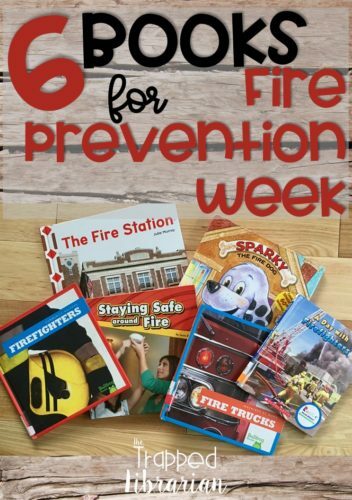 Are you looking for some fire prevention week activities? 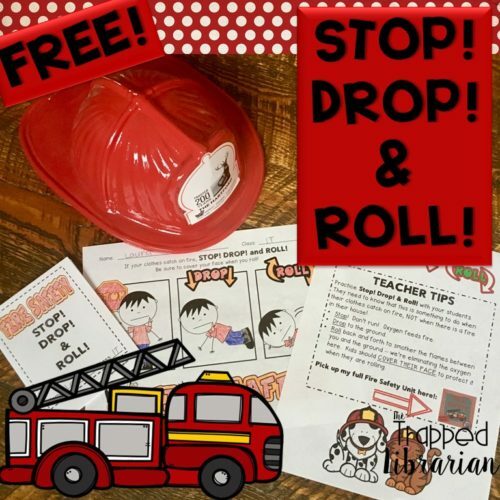 Check out this STOP DROP & ROLL freebie in my Teachers Pay Teachers store!